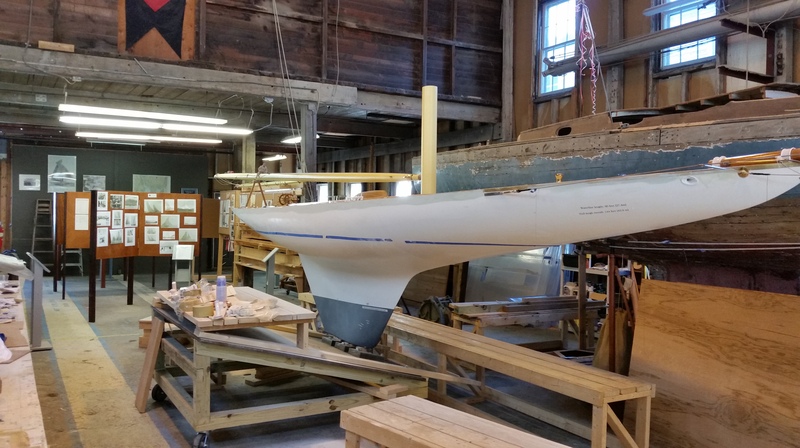 As we near (what we hope to be) the beginning of the end of this project, the job of painting the RELIANCE model becomes ever-present. 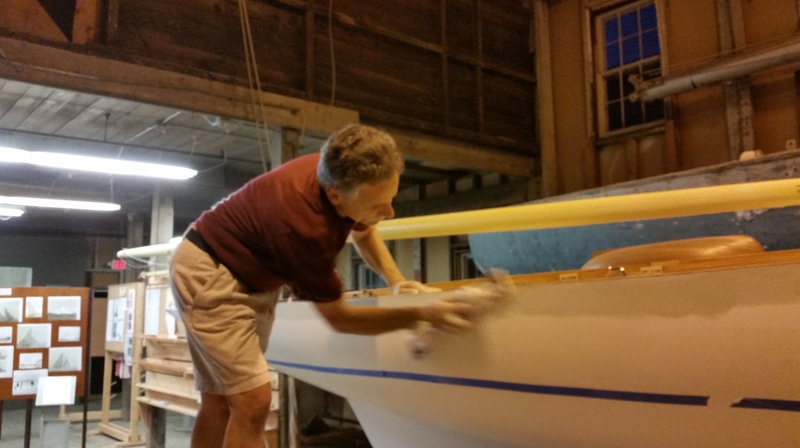 Bern–with a little help from Sandy–added several coats of Marine Premium Filler to the upper hull in order to fill any indentations and spot any errors we’ve made along the way. 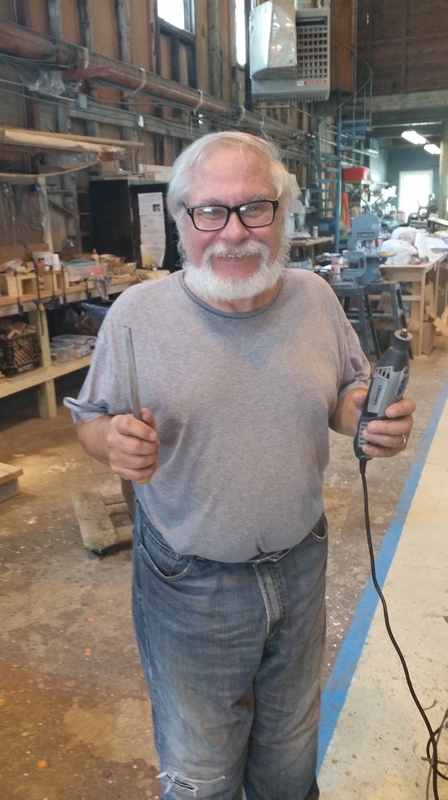 The filler hardened extremely fast, so Bern really had to utilize his youthful energy for this task. 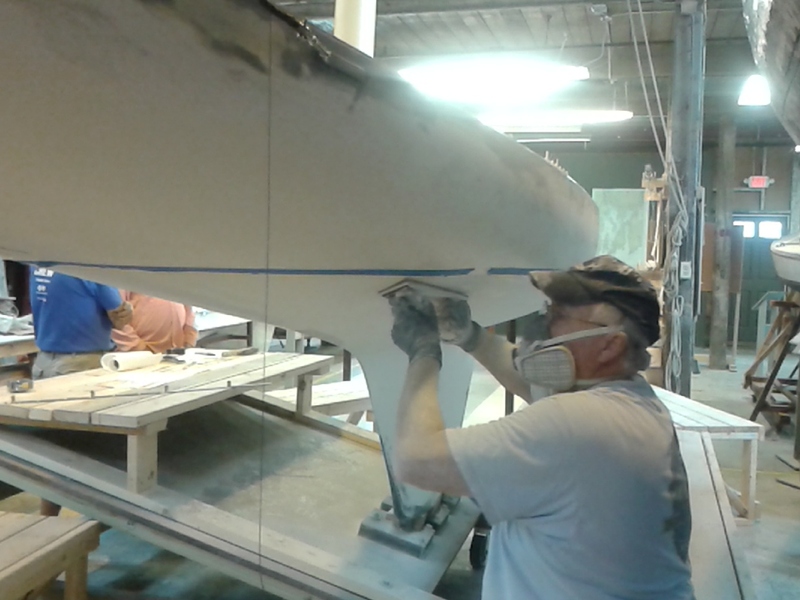 The crew then transitioned to the fairing phase, taking shifts sanding down the coats in preparation for priming, which should be happening within the next couple weeks. 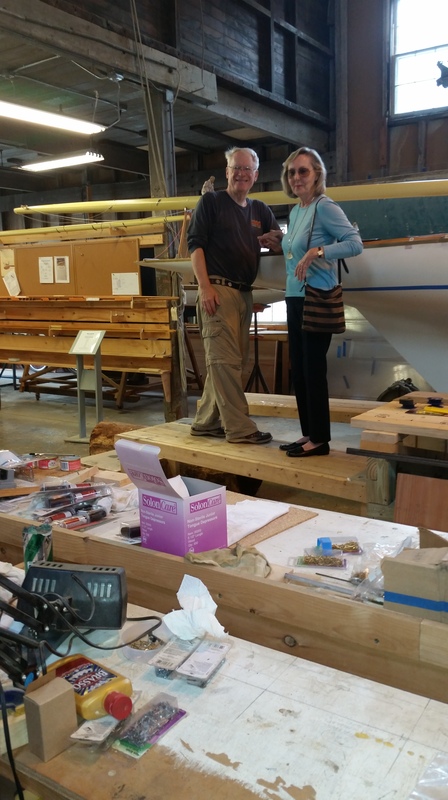 We’re leaving the actual painting of the RELIANCE to the pro’s. 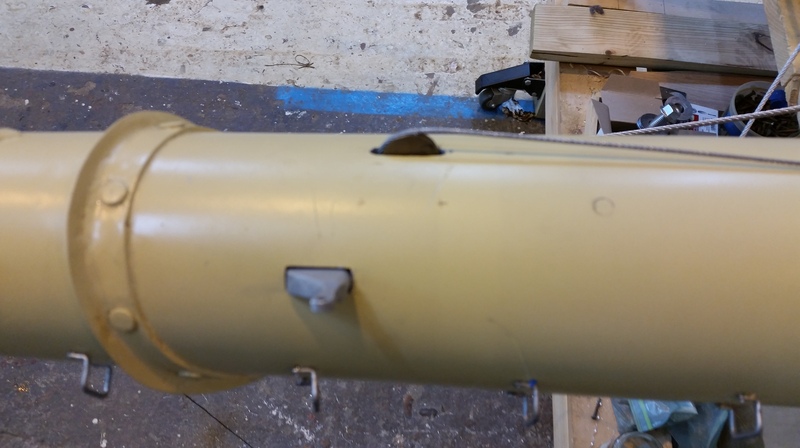 By the end of October, our dear readers should expect a beautifully painted model–and maybe, if Keith gets his way, some flame magnets! 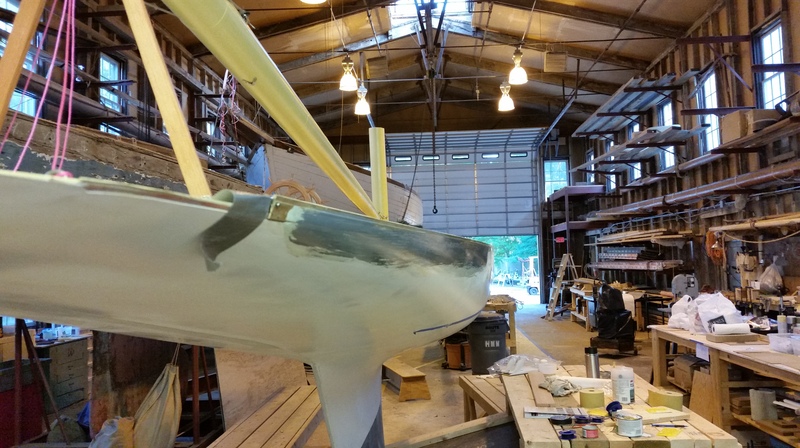 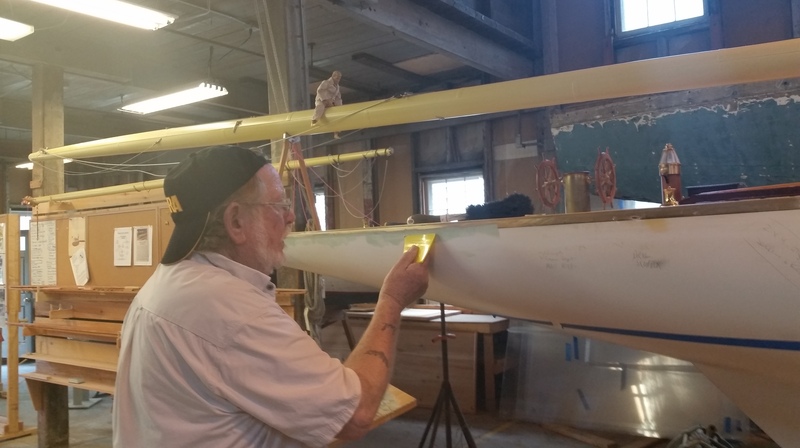 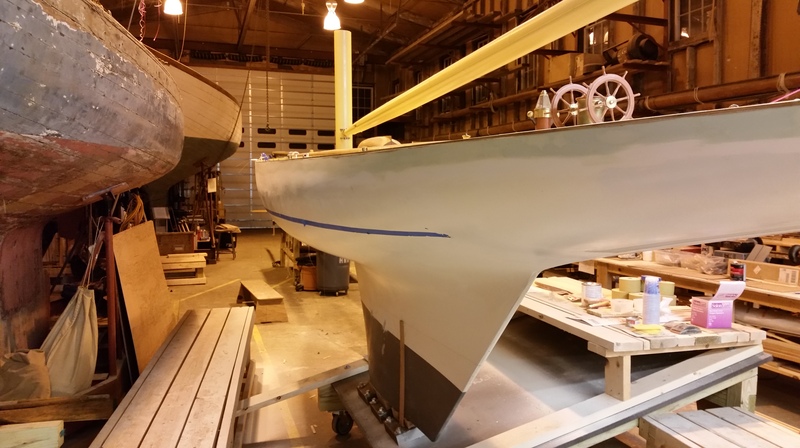 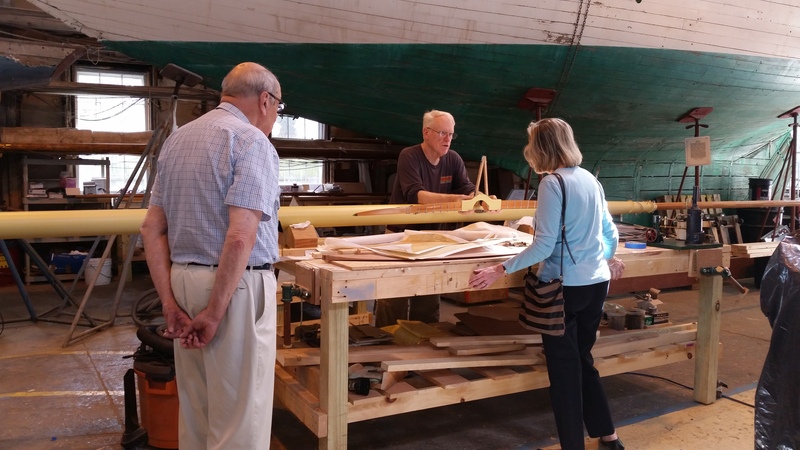 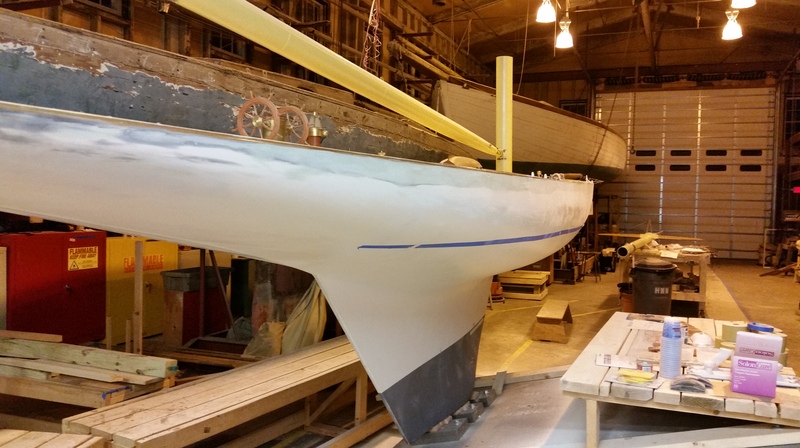 This entry was posted in Project Manager's Welcome and tagged America's Cup, bern, Bristol, building 28, fair, filler, Herreshoff, Herreshoff Marine Museum, HMCo, hull, Keith Bradley, paint, primer, RELIANCE, Reliance Model, RELIANCE Project, sanding, Sandy Lee on September 30, 2015 by Herreshoff Marine Museum/America's Cup Hall of Fame. 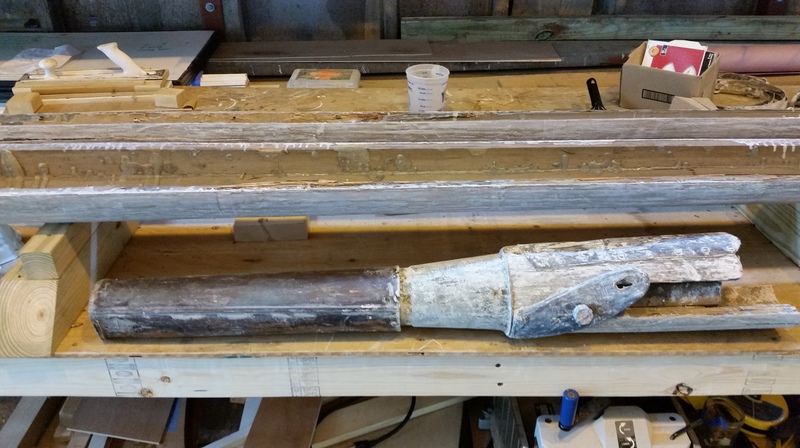 RE Sturdy has once again done an awesome job of nickel plating our bronze pieces to look like real nickel steel. 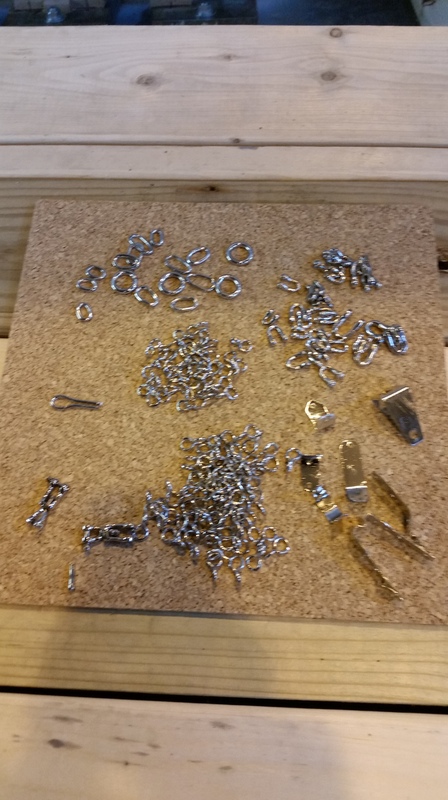 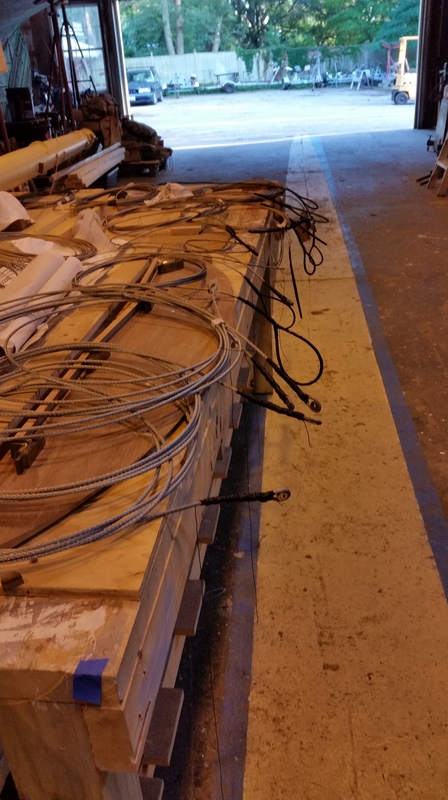 Here is the last batch of shackles as well as the rings to attach the staysail and jib topsail to their stays (Mike is currently fabricating the jib hanks). 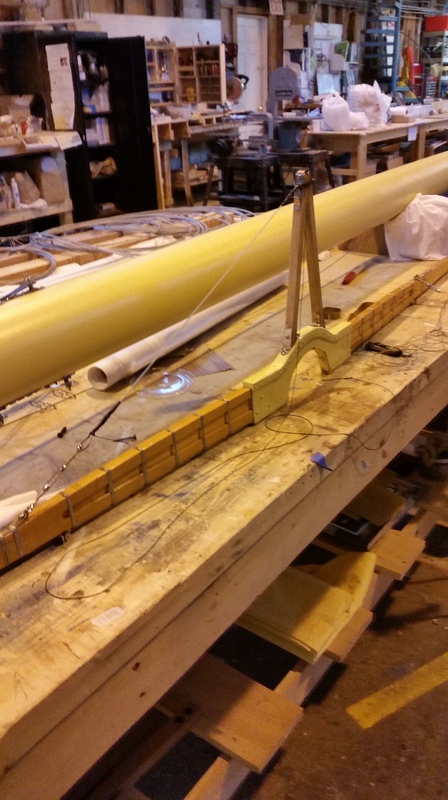 Bern installed the topmast heel rope sheave and topmast fid and slot. 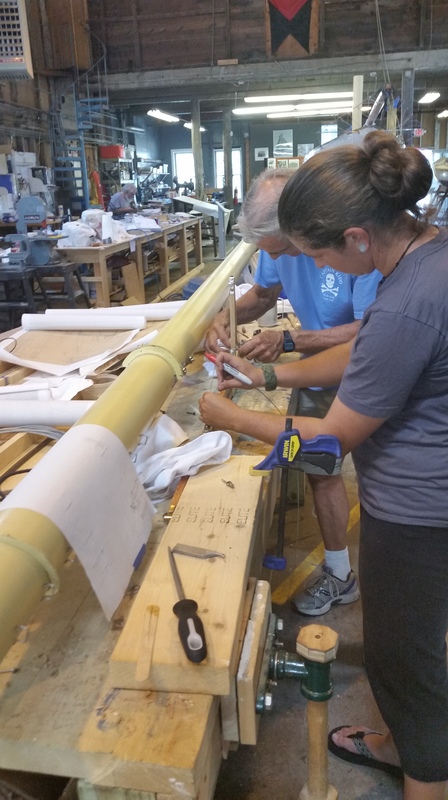 As you may remember, the topmast is sleeved into the mainmast. 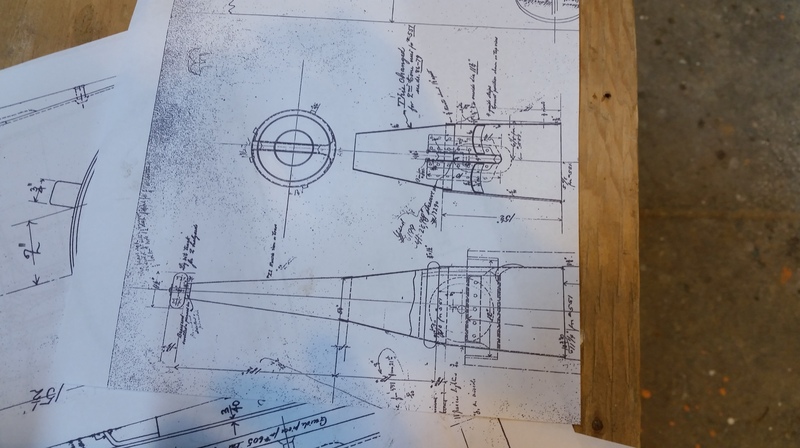 Bern has also been working on Columbia’s 1899 topmast and we’ve obtained detailed drawings of the cap and truck. 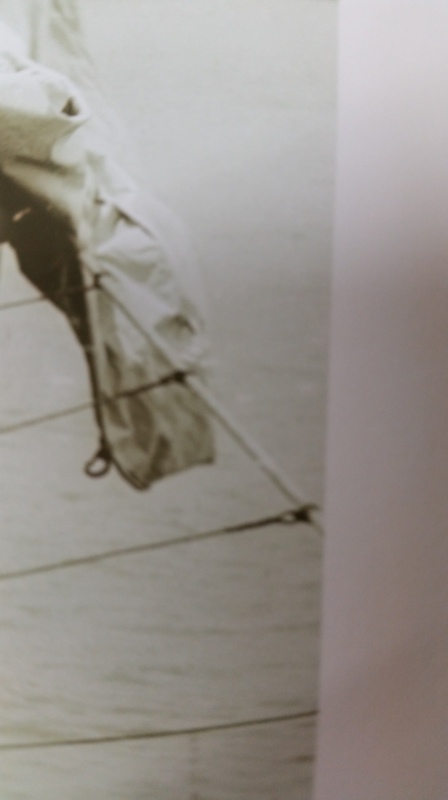 Lo and behold, our Reliance topmast drawing refers to this drawing….so now we can complete this task as well. 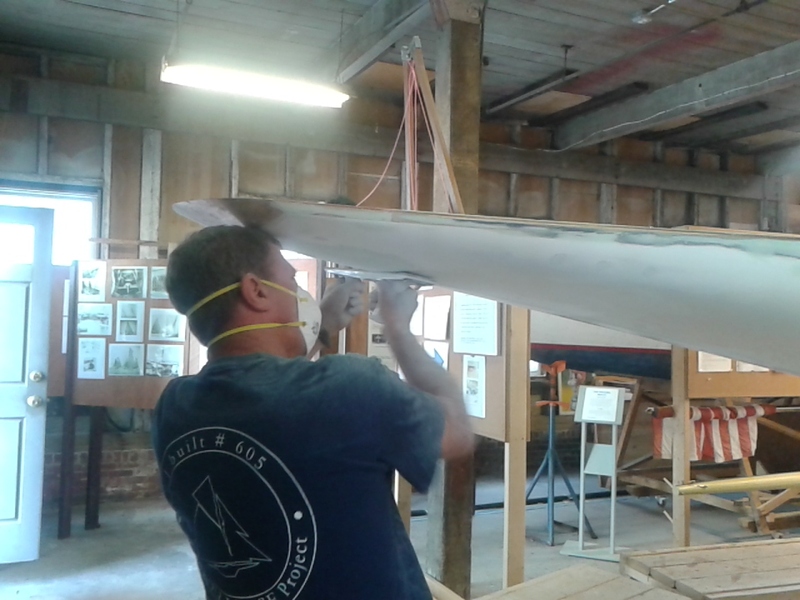 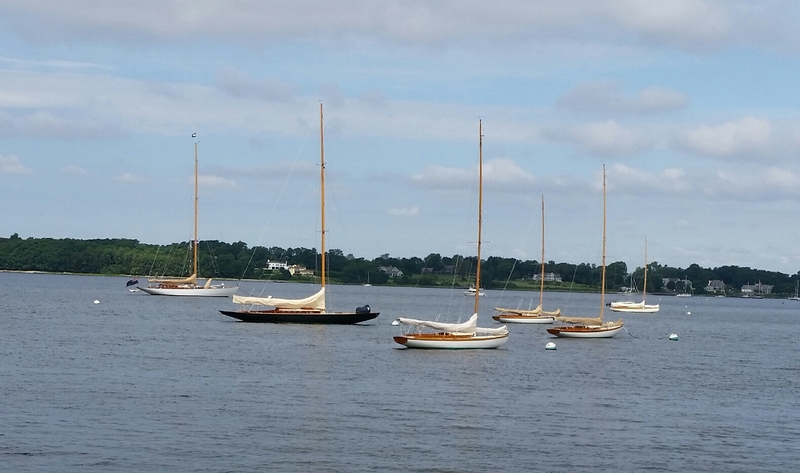 This entry was posted in Project Manager's Welcome and tagged America's Cup, bern, Bristol, building 28, COLUMBIA, fid, Herreshoff, Herreshoff Marine Museum, HMCo, jib, nickel, plating, RE Sturdy, RELIANCE, Reliance Model, RELIANCE Project, shackles, sheave, staysail, steel, topmast on September 4, 2015 by Herreshoff Marine Museum/America's Cup Hall of Fame.